Tried that already on windows 10 & it worked out perfectly for the first 5 TB but for 10 TB nothing changed. I was quite surpises that I was able to jump the limit to 5TB. thought this was only for E3 or higher with more than 5 users. i am an E3 user but I am the only user with the license as i am using it at home. It’s tied to the user license, not the tenant, so that’s why I think. 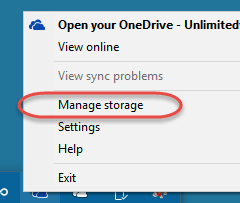 You can do this more easily yourself through the OneDrive admin panel now. 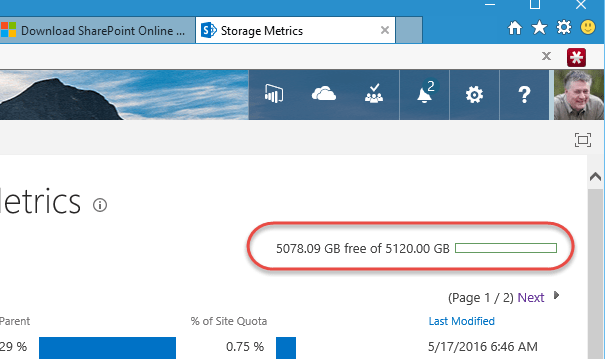 Just go to Storage and you can change the default storage up to 5TB without having to call up. Beyond that still requires a call from what I can tell. Yup – that now works for new accounts, but AFAIK, this is still required to upgrade existing ones. Im asking for science.Is it possible to go back to 1tb space.And if not why? Awesome article! This was the only one I could find wit the specific commands and URL explanations.